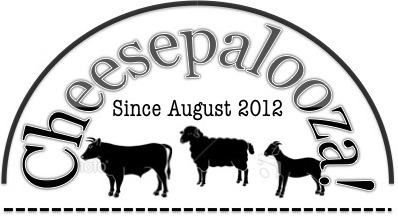 I tend to talk about cheese at work. A lot. So, having made everyone listen to me and having inflicted the smells of my various purchases, I tried to make up for it by holding a tasting night. 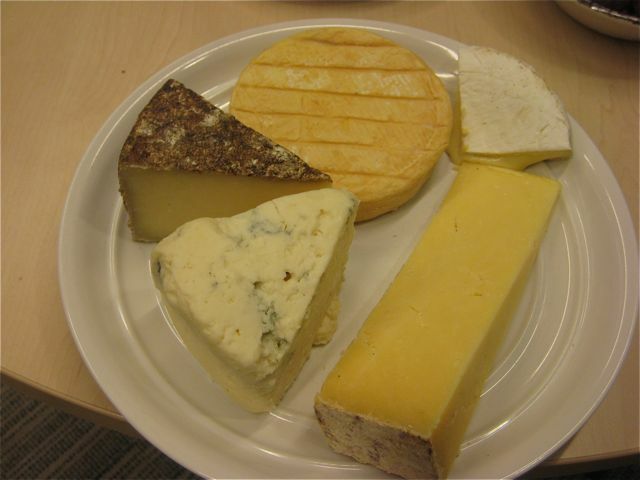 The soft-cheese representative was one of my favourite cheeses of 2011: Tunworth. A full,meaty camembert style cheese – it is creamy, slightly firm and leaves an almost cabbagy flavour in your mouth. It was met with almost universal love from my colleagues. 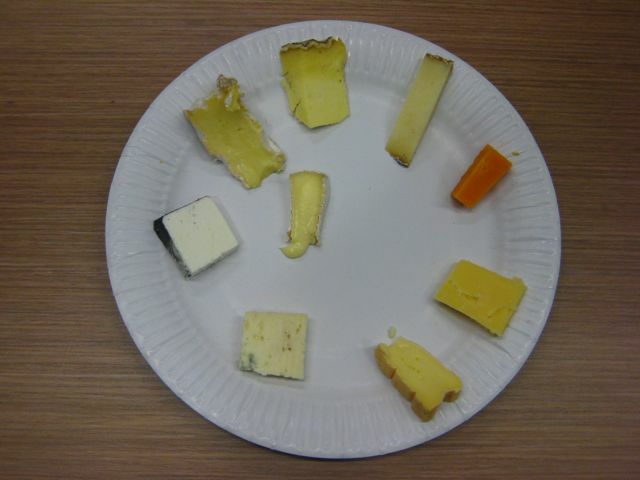 We moved onto some semi-hard and hard cheeses next. We started with Gorwydd Caerphilly, with its layers of texture and taste from the fresh and firm centre through to the smoother paste edges and the rind. 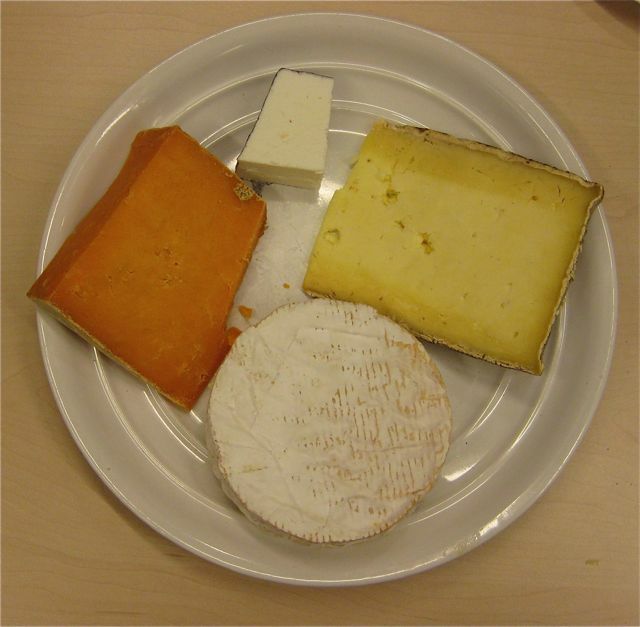 This was followed by Sparkenhoe Red Leicester, which was mellow and nutty and Pendragon, a firm buffalo-milk cheese made in Somerset that has a clean and mild taste. Wanting to offer something a bit sharper, we ended the hard cheeses with a Montgomery Cheddar. Oxford Isis was next up. I first tasted this cheese at this year’s British Cheese Awards and, as often occurs with washed-rind cheeses, the smell is enough to put some people off, but once you pass through, it becomes a much milder, with an earthy bite with just a touch of bitterness. The final cheese of the night was Beenleigh blue. This ewes milk cheese can look quite white and may be missing the strong vein-lines you see in many other blues but don’t let this mislead you. It is salty, tangy and crumbly but almost sticky at the same time. So what was the verdict from the night?